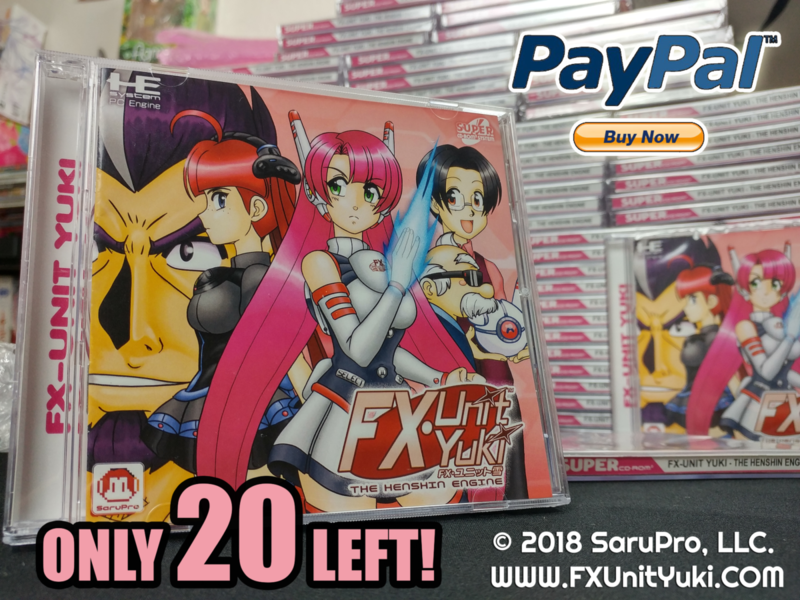 Order FX Unit Yuki Second Run Copies Here! 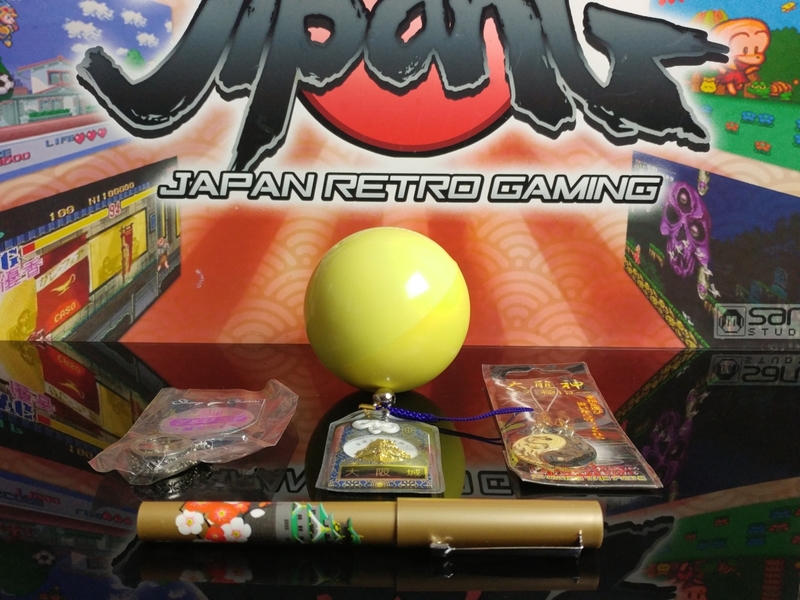 *UPDATED 4/20/19* We have received the shipment and will start shipping out all the pre-orders this week!! Hey everyone! 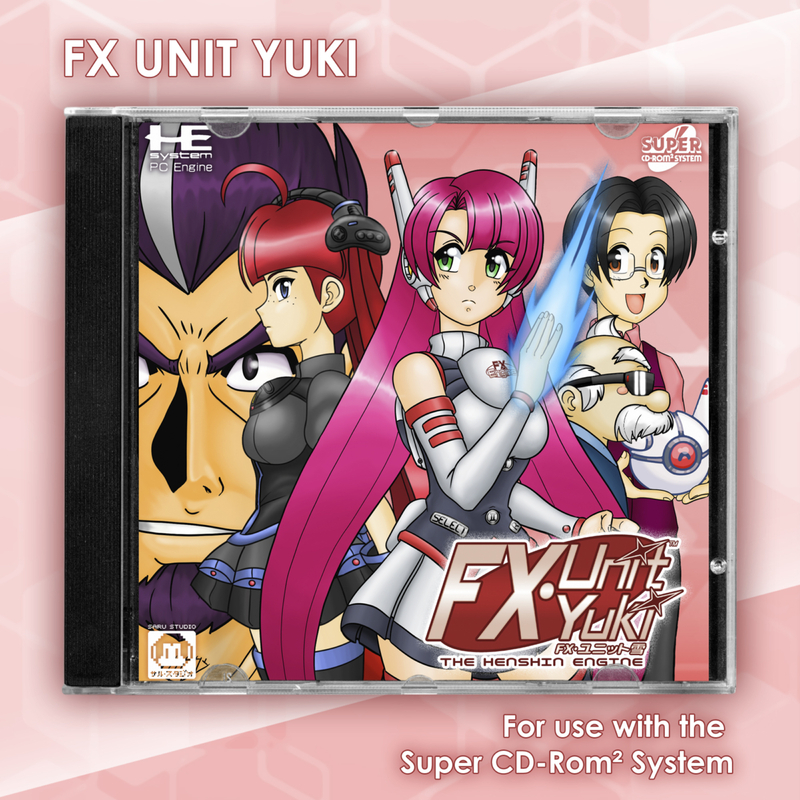 Our first initial run of FX Unit Yuki games has officially been depleted. 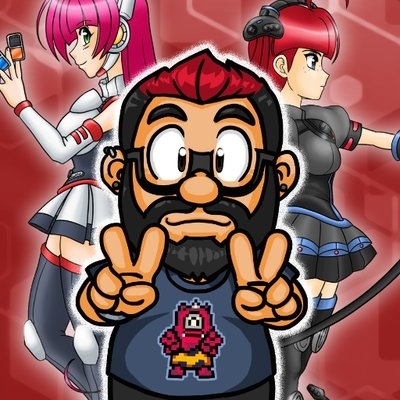 With that said, we’ve been receiving numerous emails stating that they just found about our game via a couple gaming YoutTube channels and were wondering if we would ever restock the game. And the answer is YES! 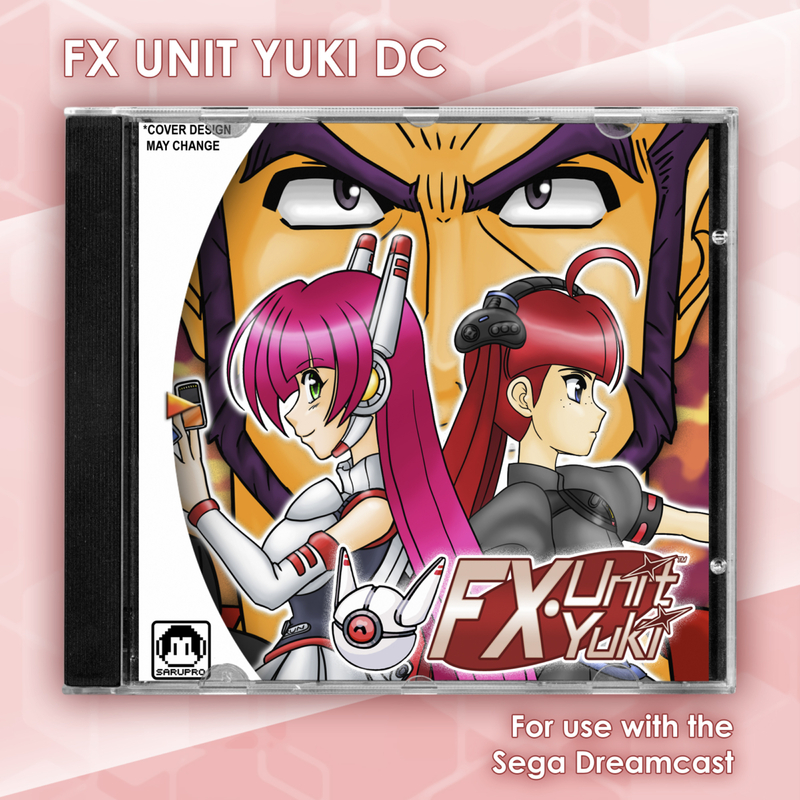 The second run of FX Unit Yuki will have the manual mistakes corrected and will have an alternate cover since we had to resubmit all the art. However, this second run will not be as big as the first so make sure to Order to ensure that you receive one. Pre-Order the Dreamcast Version is here! Youtube Contest Winners and Prizes. We only have 20 copies left of the PC Engine/TG16 Version! We do not plan to make anymore of this version! Once they are gone THEY ARE GONE!!! OFFICIAL CONTEST Here are the contest details! If you have any questions please let us know. 2 lucky winners will get an ultra rare white color Fx Unit Yuki Hat and a signed 8×10 Canvas of the Secret image. Only 2 of these will ever be made! Contest Details: 1. The Secret stage is only unlock-able on Normal and Hard mode. 2. Winners must describe how they were able to unlock the secret stage. 3. 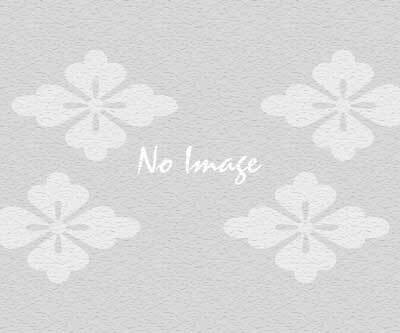 Once you find and clear the secret stage, continue on with the game. You will be rewarded with a Secret Image at the end of the Credits! Also when you clear the Secret Stage, you don’t have to redo it if you lose, just clear the game no matter how many times you die, JOY!!! 5. More clues coming soon GOOD LUCK! Last 100 or so copies left! Order Here! 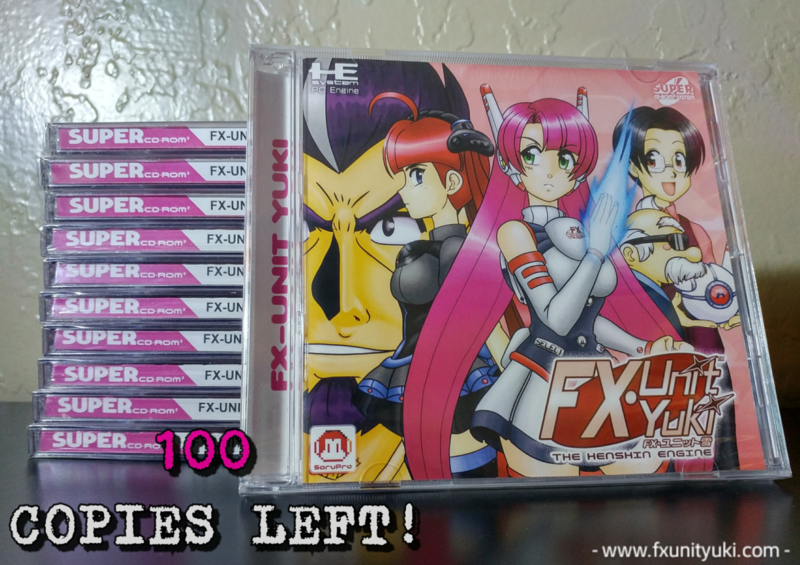 If you watched our latest update video, then you know by now we are down to the last 100 or so copies (as of today) of FX Unit Yuki for the PC Engine/Turbo. We will be making a new revision of the game due to the small error in the manual. This version will have a slightly altered cover as well to differentiate the two versions of the game. However, we don’t know when we will be producing these as of yet and once the original stock is gone, it’s gone for good! So if anyone is still looking to get the PCE/Turbo version of the game, you can still get it!